This is coming soon. Manufactured by a UK-based promotional items company. More details and price to follow (it’ll be a fair price though). 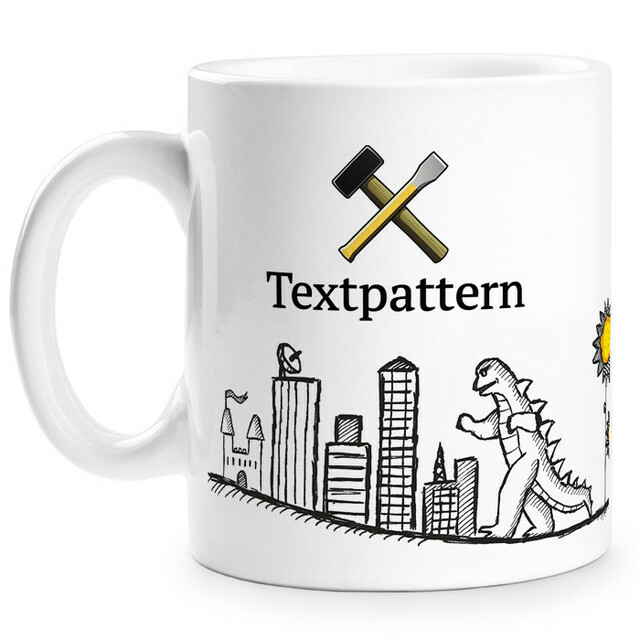 I’ll be giving seven away in a Twitter lottery to seven lucky people on Textpattern 4.7 launch day too. Shweeeet! Count me in. And I don’t even drink coffee or tea. Merch, at last! And a nice one! “Code is pottery” :-) very funny! Nice. I’m in for a few.